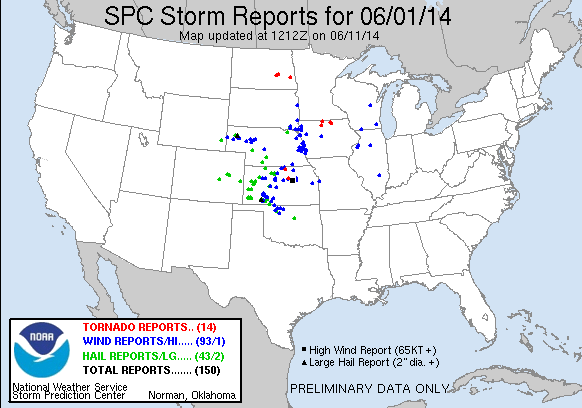 The first day of June featured a shortwave trough sitting over the intermountain west which was forecast to rotate across the the Plains and into the Missouri Valley during the day. A surface low was expected to develop over northeastern Colorado and traverse towards the Upper Midwest through the day. A secondary low was forecast to deepen over western Kansas with attendant dryline extending into Texas. Dewpoints in the mid 60s were expected to abut the dryline as it surged east pushing CAPE values into the 2000s while a low level jet in the 30-40kt range would be intersecting the target area. A cold front sagging southeast as well as outflow boundaries from earlier convection presented a potential chase target in Nebraska. Smaller dewpoint depressions and increased helicity along any outflow boundaries made this a pretty enticing play. The second target was to chase the dryline, where ingredients were pretty good. Forecast soundings were showing steep lapse rates and the associated hodographs had nicely veered profiles which indicated supercells were pretty likely. Jonathan and I started the day in Ogallala after a long night of driving and decided to head east to North Platte, then south into Kansas. As the MCS in Nebraska continued east, storms were popping up on the edge as it encroached on the warm sector. The situation looked pretty messy so we continued south to Oberlin where we sat for a bit to see what the eastern target would do, but also to keep an eye on the cumulus field to the south in Western Kansas. Dodge City released a special 18z sounding that showed a very buoyant atmosphere characterized by 1500J/Kg of mixed layer CAPE, a slight cap, good shear and a nicely veered wind profile with decent low level helicity. Shortly before 20z cells began firing in Western Kansas south of I-70, so we took off south on US 83 from Oberlin. 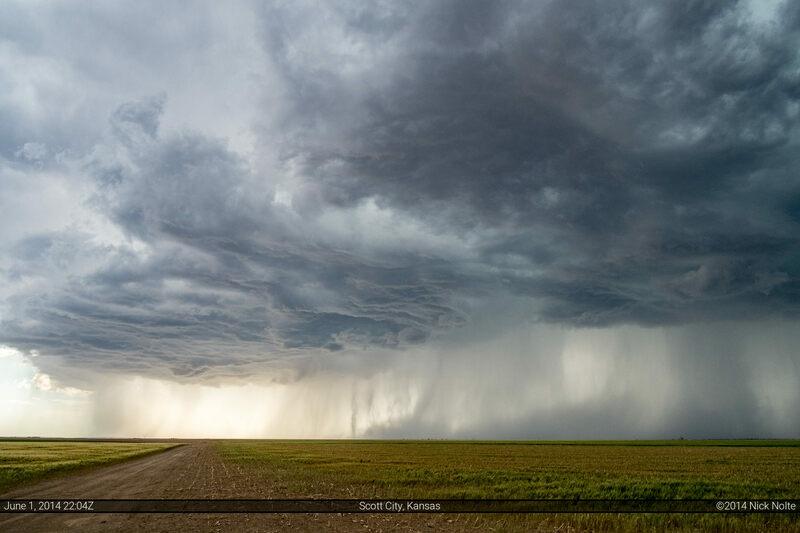 We drove through Scott City and stopped west of town to watch the mess of storms that were headed towards us. One of the storms seemed to have a deviant motion to it, so that’s the one we targetted. It had a pretty high base and a lot of rain in the forward flank. 15 knot storm motion allowed us to sit in one spot and enjoy the show even though it was rather clear these cells were not going to drop a tornado. Nevertheless, they put on a beautiful show in the sky for us. 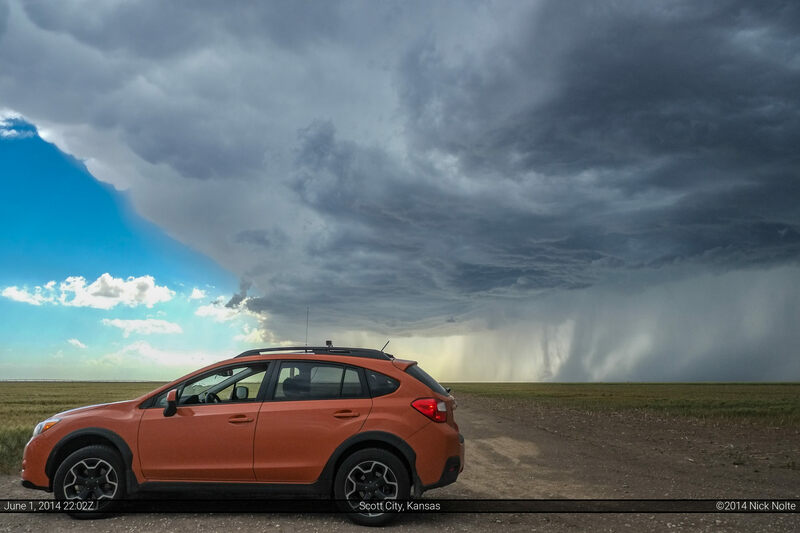 We hung around watching the storms as they moved off to the east and fizzling out and called the chase around 23z and began to head back to Colby.